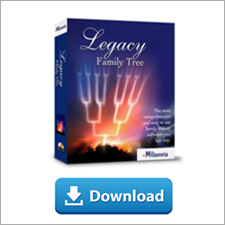 Give the gift of Legacy for the whole family. Until December 31, save $10 on new Legacy 8 software purchases. According to the United States Postal Service (as of November 30, 2015), these are the "last mailing dates to arrive by Christmas." As genealogists we know a lot about our ancestors. But what do we really know about where they lived? Nowadays, thanks to technology, we are positioned to not only learn about where they lived but to actually walk in their footsteps. Recently, my family started vacationing on an island called Martha's Vineyard. After our vacation week was over I was afraid that I would forget how to navigate all the roads before our return the next year. When I got home a friend pointed me to some Facebook pages dedicated to Martha's Vineyard. These were mostly featuring photographs but I eagerly followed them, and one in particular called Vineyard Colors. The page very successfully kept my memories of Martha's Vineyard alive and fresh. I didn't have to worry about forgetting about the island, even though I admit it didn't help me much with navigation. As time went by I sought out other sources about Martha's Vineyard on sites beyond Facebook - I checked Instagram, Twitter and Flickr. As time passed I realized not only could I use this strategy for my vacation memories but it would also work well for genealogy! Recently, I have been focused on my great grandmother, Caroline Nunge who arrived in America through Ellis Island in 1893. Unlike most of my relatives I knew exactly where she came from - a small town in Alsace-Lorraine called Baerenthal which is now located in France near the German border. My German speaking ancestor settled in Pittsburgh among other German speaking immigrants. I wanted to know more about this place called Baerenthal where my ancestors had lived. I first checked on Instagram which is a great photo sharing app for mobile devices. You need to set up an account to really make use of this tool but the app is free to download. There are couple ways to search on Instagram. When searching for a place you can either search for it as a keyword or as a location. They keyword search will bring up any results where people have tagged a post with #Baerenthal. The location search will bring up any posts tagged with a location of Baerenthal. What I'm looking for are mostly scenic photos that will give me a sense what the town looks like. I will ignore all the posts of teenagers and other non-related items. If I find photos of interest I will check who posted them. If they posted lots of scenic shots to their account then I will follow them in hopes of finding more in the future and so my journey begins. The key thing is to find active accounts which you can continue to follow and learn more about your target location. On the left is the search screen in Instagram. On the right are the search results. Flickr is a photo sharing site that is available both as an app on mobile devices and as a website. Flickr is a favorite among photographs and has many thousands of photographs. It is easier to search than Instagram when you want to go deep into a topic. Simply type your place name into the search box and wait a moment for the results. My search for Baerenthal returned over 800 photos! Since Flickr is geared toward more serious photographers I'm less likely to find "selfies" and other types of un-related photos. Just like on Instagram, photos are posted by users and tagged and if you find something that you like you can follow the account of the photographer. In this particular case I found an account for Moselle Tourism. Moselle is the region (called a Department in France) where Baerenthal is located. This is account is as perfect as I'm going to find when it comes to targeting Baerenthal on Flickr so I will definitely follow it. When I follow the account it shows me future photos in my main feed. Unlike Instragram, Flickr makes use of "albums" so if you find one photo you like you can click on the link to its album and likely find many more photos on the same topic. In addition to Moselle Tourism, I also found a wonderful photographer named Raymond Schaeffer who had an album of 27 beautiful photos just of Baerenthal. Back in 2004 my Uncle Bob visited Baerenthal in an attempt to find traces of our ancestors. When he returned he shared some of the photos that he took. Here is a photo of the the church located in the tiny village. One of the really fun things you can do to follow in your ancestors's foot steps is to use Google Street View. I use this mostly for looking up locations in the United States but it works well in other parts of the world too. I simple typed Baerenthal, France into Google Maps and it brought me to the town. I clicked on what I believed to be the town center and zoomed in. I then clicked on the little yellow person found in the lower right corner of Google Maps and dragged that onto a street. That brought me into street view. You can then travel the roads as if you were there in person. Drag the little yellow person icon on a road for street view. Here's an image that my uncle took during his visit in 2004. And here's a view of the same location using Google Maps. It's a slightly different angle but the church looks much the same as when my uncle visited over ten years ago. The advantage with Google Maps street view is that you can explain the surrounding area - you're not limited to a single image from a camera. Exploring your ancestral village can be a lot of fun using Instragram, Flickr and Google Maps. These are just three tools of many that are available that can help you become acquainted with your homeland. Try them out and see what you discover. Then come back here and share other ways that you have stepped virtually in your ancestors' foots steps. Dream about genealogy leads to discovery - again! Two nights ago I had a dream which was so good that I woke up energized and with renewed hope. Since I'm writing this on a genealogy blog, can you guess what my dream was about? If you said it was about my Swedish ancestor's estate inventory record - you're right! And you're a terrific guesser! Years ago when I was looking for my Asa Brown family, I had a recurring dream. In the dream I had located the family's bible, and I had the feeling that the bible had the genealogical answers I had been looking for about the family. While holding the bible in my hands and bringing it closer to my eyes to read the content, the information on the family page became blurry. The more I looked, the blurrier it became. I woke up frustrated because I felt the key to unlocking the family's puzzle was right before me. Well, kind of. Yet, the dream gave me the hope to continue looking for the elusive bible. Long story long, I located the 19th century billfold of Asa's son, David. Inside, and folded into quarters were the four "Family Record" pages from the actual Bible. It had all the exact birth, marriage, and death dates and places for three generations of the family! Fast forward to this week. After my recording session with Kathy Meade for her webinar, Introduction to the Swedish Estate Inventory Records (published in the webinar library just today) I knew that the estate records were just what I needed to make progress on my 18th century Eric Matsson family. While the Swedish records are more complete than any others I've ever used, there was a small gap in the parish records where this family lived, and the usually reliable church records weren't available. I learned from Kathy that an estate inventory was required for all persons who died, and in the record's preamble, it would usually list the names and whereabouts of all of the survivors. In the webinar she also showed that the estate records were usually indexed. The ones I needed weren't. And so began the page-by-page process of looking for Eric Matsson's estate records. 779 pages later I still hadn't found Eric's estate records and I started getting a little depressed about it. Everything was in Swedish, and the records were more than 200 years old, so I could have easily overlooked Eric's papers. I started to think that maybe I should just move on to someone else for now. In the dream I was browsing these same estate records. All, of course, were in Swedish. And then I turned the page and something odd started happening. All of the letters began to morph into words I recognized. The entire record was now in English. And guess what? It was Eric's family! I tried so hard to memorize what it said so that when I woke up I would remember everything. Well, you can guess how that went. Determined and now with renewed hope to find Eric, yet inexperienced with this part of Swedish research, I asked Kathy if she had any ideas. She pointed me to an online database of the Swedish National Archives which had an index of some of the estate records. I quickly located two entries for the place where Eric was from - one for Eric and one for his wife, Greta, who died three years earlier. The entries showed that the records were part of a registration district that was different from the one I was searching. Examining the record in ArkivDigital, it is clear that I've located the right family. I'm looking forward to what I will learn if I can figure out how to translate it all. I know nothing of the science of dreaming. I don't often remember them. So for whatever reason I've had dreams about the records of my ancestors, I'm thankful for them. While they've never directly solved my genealogy problems, they've given me hope to keep pressing on. It's interesting though how these have happened after I've had feelings of switching my efforts to another part of my pedigree. There might be something about those Kindred Voices after all. 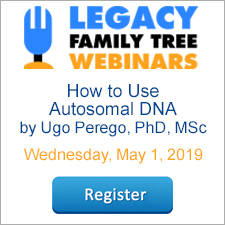 New Webinar in the Legacy Library! Want More Sweden Research Help? If you would like to see where all your linked media is go to VIEW > MASTER LISTS > MEDIA FOLDER LIST. If you see [Default Media Folder] that means the media is inside whatever folder you have specified in OPTIONS > CUSTOMIZE > LOCATIONS, Option 6.2. Notice that this option is file specific (ff) so you can designate different main folders for different family files if you wish. Viewing the Media Folder List is a great way to see if you have links to media scattered on your hard drive. You don't have to use the Legacy default media folder but it is a good idea to have all your media in a single folder (subfolders inside this main folder is just fine). A lot of people have their media folder directly on their C: drive (C:\Genealogy Pictures, for example). I keep mine in the default Media folder (Documents\Legacy Family Tree\Media) but I use a system of subfolders inside. Keeping them all within a single main folder keeps things organized and easy to find and it also helps when you backup your media files. It will be a lot easier to restore that backup if your media is in one main file.